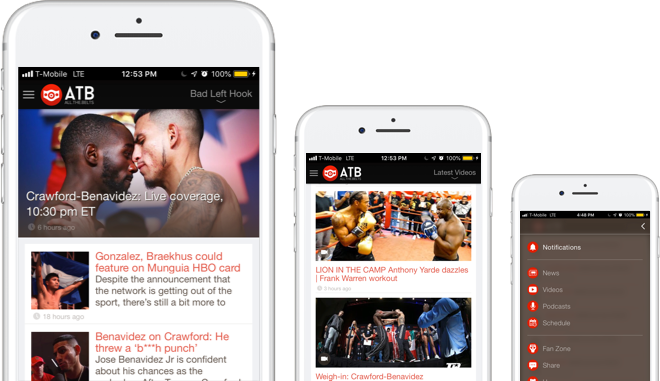 The latest boxing news, videos, podcasts and schedules in a mobile app. Engage with boxing fans around the world using the fan zone feature. Copyright © 2016-2019 AllTheBelts LLC. ​All Rights Reserved.